I have one story still pending on B2ME, but everything else has been posted. I'm pretty pleased. I ended up writing 45 stories and doing one piece of artwork. I think I should just have written and skipped the artwork completely, so now I know. I broke the stories into categories and started editing so that I can post them on my archive boards. I'll be starting that within a day or two. Without a doubt there were some stories that are stronger or that I like more than others, but in a general overview, I'm pretty pleased with what I produced this year. I picked up my income taxes from the accountant yesterday. We didn't get as much back in refunds this year as last, so I'll get less help with the household bills. It usually doesn't cause issues until February/March/April, but if we have a really cold winter and my utility bills are very high, it can be a major problem then. But, I'll see what happens when it happens. Have a fabulous day today! Current Location: Want to get things accomplished! 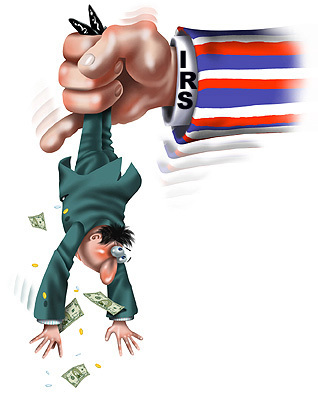 Oh, there's nothing like the IRS *sigh*. And if my basic living expenses and local taxes weren't constantly increasing, I would be fine. But basic cost of living is up and my refund is down. That's going to cause some problems, I guarantee.